If you’re splitting thick logs, you could benefit from a sturdy and reliable skid steer log splitter. Our lists of best-selling, top-rated and expert-recommended skid steer log splitters will help you find the best product for the job. Navigate between the pages below to view what shoppers and our expert are raving about. 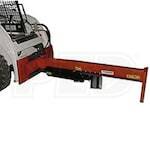 Or, check out our Skid Steer Log Splitter Buying Guide for more information. 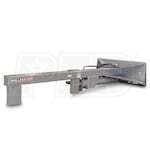 Best Skid Steer Log Splitters - View Our Top-Rated & Best-Selling Skid Steer Log Splitters. Our log splitter how-to library can help you pick the perfect electric log splitter, gas log splitter, 3-point hitch log splitter, skid steer log splitter or log splitter accessory.